Wintergreen Essential Oil contains 85-99% of methyl salicylate the same active ingredient as birch and is beneficial in massage for soothing head tension and muscles after exercising. This is a key oil in the Raindrop Technique. Did you know that Wintergreen Essential Oil contains 85-99% of methyl salicylate? Birch and wintergreen are the only plants in the world that naturally contain methyl salicylate. Today, true Wintergreen Essential Oil is not commonly used because the British School of Aromatherapy advises that is should not be used. However, I have to tell you, that I NEVER have had ANY problems using it. As a matter of fact, it is one of the oils used during Raindrop Technique. I know I am sounding like a broken record at this point, if you have been reading through my website. But, most of the problems associated with using essential oils are due to the fact that people are using food grade, organic, natural and other various “named” oils that are of poor quality, adulterated and are just not for therapeutic use! It is that simple. Scaring people into not using things was never my way of responding to a situation either. In any walk of life, when things are used incorrectly, or when people don’t have the knowledge to use them, there are problems associated with it. That’s why I built this website – to give you the knowledge and the power to choose the oils that will work for you. My favorite professionally made blends that contain Wintergreen are: Raven, Deep Relief, and PanAway. Plus Ortho Sport and Ortho Ease Massage Oils! This section on Wintergreen essential oil will tell you how to use it and what to use it for. It will also provide you with some history and safety precautions for you and your pet! As I receive new tips and testimonials for Wintergreen essential oil they will be added to the page, so check back frequently! 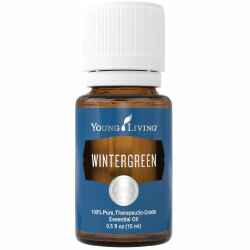 Buy Wintergreen Essential Oil Here! Why is this information important? There are many different species of Wintergreen. Even though species may share some similar properties they are not at all the same. And they are used for different purposes. So please know your genus species when using and purchasing essential oils. What Part of the Plant is Used? Leaves and bark. Why be bothered with this number? ORAC stands for Oxygen Radical Absorbance Capacity. It tells you the antioxidant capacity of a food item. This was developed by the USDA researchers. For instance: Spinach = 1,260; Clove = 1,078,700. Wow! The number for clove is NOT a typo! Did you know that the Native Americans chewed wintergreen when running long distances to increase endurance and respiratory capacity? Wow! What are the Documented Benefits and Uses of Wintergreen? What is the Aromatic Affect on the Mind? It is mentally stimulating and increases attentiveness. The odor is its signature. What is the Spiritual Influence? It is interesting that this plant associates with many of our senses: smell, taste, touch and hearing (sound). Wintergreen essential oil can penetrate deep within the body it can increase the vibration of the body and enhancing sound on all levels. The odor alone is said to do this. Because of this, it was used during spiritual ceremonies, especially where sound was used (meditations, chants, etc). It brought back harmony between the earth and its people through awareness. This increase in vibration opens spiritual awareness and leads to introspection of divine and self love. This will be particular helpful to those who are very left brained (logical), and need to expand further into their intuitive side (right brain). What Chakra is Affected? The heart and solar plexus chakras expand. Can this Oil be used for Pets? Yes, use on your dogs and horses for sure. Use with caution for cats especially if not therapeutic grade! I use wintergreen at the barn and it is used during Raindrop Technique for horses as well. Make your own horse linament with wintergreen. Or use Ortho Sport or Ortho Ease. What are the Safety Precautions? First, only use therapeutic grade essential oils not fragrant grade oils. Because it is improved as a Food Additive (FA) by the FDA, food grade wintergreen oil is available on the market. Please remember, these are not the same oils and are often adulterated (changed). Children younger than 5 years old, women who are pregnant and those who have epilepsy should avoid using wintergreen. Additionally, because this oil is an anti-coagulant it may increase the effect of pharmaceutical blood thinners. Some people have reactions to methyl salicylate, the primary ingredient in wintergreen essential oil. Did you know that wintergreen (synthetically made) is widely used as a flavoring agent in root beer, gum and toothpaste? 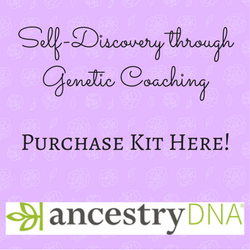 Did you know that the early American settlers had their children chew the leaves of wintergreen each spring to support healthy gums? Did you know that Wintergreen Tea was a substitute for Black Tea during the Revolutionary War? The Native Americans also enjoyed wintergreen tea. The tea was made from birch bark or wintergreen. Want to Purchase Therapeutic Wintergreen Essential Oil? Go to the Oil Shop! Buy Wintergreen Oil Here! Use wintergreen essential oil in massage to ease muscle tension after exercise.